KUWAIT CITY, May 11: “Call me back only when my mother dies” — this is how some individuals end their conversations with the medical staff that are in-charge of treating their parents, reports Al-Qabas daily quoting sources from Ministry of Health. They explained that some of these parents who are admitted in Adan Hospital are in good health but their children send them to the hospitals to avoid taking care of them, and they prefer to leave their old parents under the care of the Ministry of Health which has been taking the responsibility of looking after the elderly for months or even years. The sources revealed that nearly 25 elderly people have been admitted in the hospital for a long time after their children and relatives abandoned them due to a number of reasons. Some of them have been staying in hospital for 3-4 years without anyone visiting or inquiring about them except on rare occasions. They further revealed that most of them are Kuwaitis and GCC nationals, indicating about the increasing prevalence of this phenomenon in many hospitals besides Adan Hospital. The sources clarified that some of these cases suffer from sicknesses that are neither contagious nor life-threatening. However, once they are hospitalized, their relatives deliberately leave them in the hospital for a long time, which in turn not only increases the burden on the medical teams and nursing staff but it also aggravates the existing crisis of insufficient number of hospital beds especially since the population has been increasing rapidly. They indicated that the ministry is currently facing embarrassment due to lack of solutions to this problem, as it is not allowed to expulse any patient from the hospital as per the ministry law. They stressed the need for Ministry of Health, Ministry of Interior and Ministry of Social Affairs and Labor to hold meetings for finding solutions to this problem, either by transferring such cases to a different location or calling their relatives to take the patients home, adding that many of the relatives who abandon their elderly in the hospitals either give wrong numbers or intentionally do not answer the hospitals’ calls. I thought there were places for old citizens provided by Ministry of Social Affairs? 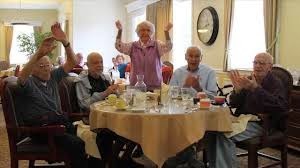 As in most countries there are retirement homes for the elderly, they are taken care of by nurses and also have an active social life if they are not bed ridden. Simple solution, it will only get worse as the new generations are more selfish and don't have time or patience to take care of the elderly. It can be a difficult task for people who are not medically trained. I vision a retirement community for men and another for women built up like the old Kuwaiti houses and fully decorated with antiques, bringing back the memories of the patient's early years. Volunteers will be able to come in and sit with them giving them the attention they long for. Does anyone know if the hospital allows people to visit these elderly patients??? Thank you for bringing this up ! I am a volunteer in the Kuwait Red Crescent Society and we do regular visits (every two weeks) to seniors in the Social Affairs. There are now 11 cases only (They were 15 but some has passed away few months ago). They are receiving excellent care and I can see that every time I visit them. The social affairs management are currently keeping any new applications on hold to accept additional cases. I was also told by the management there that seniors who have children, will not be accepted as their children are forced by law to take care of their senior parents. The place can take up to 30 case (As I remember from the discussion with the manager) but some of the rooms are not yet ready and is under contraptions. Honestly, I don't think this is enough. Admissions are also only for citizens, but some exceptions can be taken from the humanitarian perspective.